Some say our Death Knights were professional fishers in a past life, others say a certain Warlock completely soloed Aggramar. Whatever the case may be, Aggramar and the might of his sword, Taeshalach, were not enough to floor our rapid ascent of the burning throne. 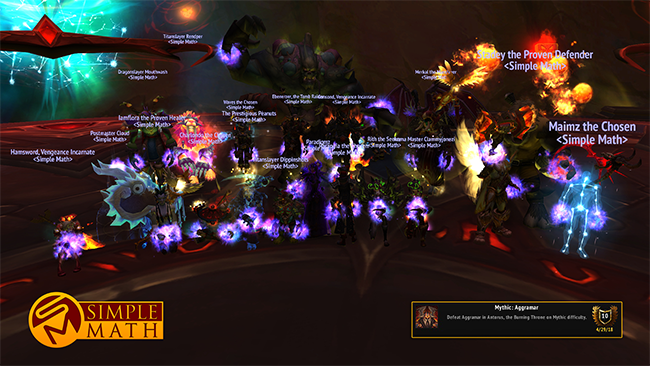 Although some couldn't handle the heat of Taeshalach, the strong among us find our way into the Pantheon to face the final threat of Antorus. Only Argus the Unmaker now stands in our way of reclaiming end tier realm first dominance.